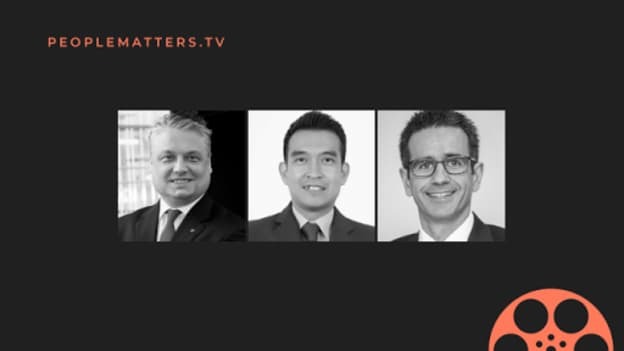 Experts on PeopleMatters TV discussed digital transformation and ways of managing change in companies −from top leadership to change agents to creating a culture of experimentation. The pace of change is outpacing the HR fraternity’s ability to adapt to the evolving demands of the business world. HR leaders and CXOs across the world are dealing with challenges of adopting new technology, upskilling existing employees and onboarding a skilled workforce that would be able to adopt new technology and adapt to the agile corporate environment of the digital age. Experts on PeopleMatters TV discussed some ways in which companies can create a culture of agile change management with digital transformation as the catalyst. Before jumping head-first into learning a particular technology, it is vital to take a step back and assess organizational capabilities. Figuring out the company’s focus area can help companies invest wisely into skilling activities, said Dr. Nattavut Kulnides, ADGES, Managing Director. Given the speed of change, there’s a need to expedite digital literacy and develop a digital mindset among both within the leadership team and in the organization as a whole, according to Laurence Smith, SmartUp.io Global Head, Digital Transformation. For starters, change needs to begin from the top. If the leader believes that the organization needs to undergo major changes, it is more than likely to trickle down and turn into strategic initiatives that are executed by the rest of the employees, said Kulnides. Adapting to continuous change is what agile thinking is all about. According to Miguel Charneco, Head HR and Corporate Development APAC, Piaggio, introducing mechanisms in which learning on the job becomes easy can help inculcate the culture among employees as well. “Change management is the new normal,” said Smith. Identifying those people who will the organization navigate through the changing demands of technology, employees and business asks is crucial. Even though change might start from the top leadership, senior-level executives or team heads or even junior-level executives might be the ones who help lead the entire organization on this path of digital transformation. For example, in DBS Bank, Smith says, there are about 200 change agents while there are only 20 people in the top leadership roles in a company of 22,000 employees. To effect a transformative change at various levels of the organization, change agents at different levels of the company need to take part in the change. Conducting various kinds of conversations that include a mix of one-on-one, one-to-few and one-to-many discussions regarding adopting a new type of technology have proven to be more effective. Charneco adds that along with including change agents in the conversations, identifying the right kind of agents is imperative to widespread adoption. In the age of social media, managerial change agents are being replaced with digital native millennials and Gen Z members of the workforce who already possess the capabilities required in today’s digital age. At Piaggio, there’s an “internal startup” group whose focus is to innovate and explore new ways in which they can use technology to take their product--motorcycles--to the next level. Within this group, the focus is away from the current strategy and projects. On the other hand, the talent involved in this group is geared towards exploration. “This focus creates a sense of urgency in the business which is really important when we focus on the explore mode rather than the exploit mode,” added Charneco. Defining the focus of change is crucial in order to align the whole organization towards the same purpose. Identifying the area wherein an organization wants to make a change, for example, be it in digital marketing, e-commerce strategies, data management etc. These starting points help in defining the roadmap of change. Data analytics is a way to effect large-scale changes. However, breaking down the change strategy into digestible chunks is far more helpful than trying to bring about a sweeping transformation. There is a conscientious effort to consolidate communication between various departments and silos. A similar logic must be applied toward collecting and analyzing data. Data collected from multiple quarters needs to be studied in tandem with people’s emotions and that’s where people analytics helps in effecting meaningful change. Experts believe that data should be considered as a tool of implementing change rather than the end all and be all of all strategies. Building a clear, shared vision of the future and instilling a sense of purpose is the way to get individual employees on-board the organizational transformation, said Smith. “You can give employees a bit of the framework, make them a part of the journey. I am not sure about ‘telling people.’ I would say, ‘we are inventing together’,” Smith said. Instilling the excitement about change among people is a journey of discovery rather than a communication strategy. A long-term vision can help HR leaders identify how their company will be equipped to survive the winds of digital change.